• When: Tuesday – September 25th. • Time: 12:00 to 2:00 pm. • Where: Outside UN Head Quarters – New York City. Transnational Government of Tamil Eelam (TGTE) announced that they will protest outside the UN Head Quarters in New York City on 25th against Sri Lankan President’s address to the UN General Assembly. TGTE also sent an alert to UN General Assembly Members and to journalist about Sri Lankan President Maithripala Sirisena as a war crime suspect. 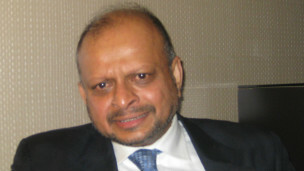 TGTE outlines Sri Lankan President’s command responsibility, when he served as the acting Defense Minister five times during the height of the war, including during the final two weeks of the war that ended in May 2009, when around 70 thousand Tamils were killed and hundreds of Tamil women were sexually assaulted and raped by the Sri Lankan Security Forces. (UN Figures). • When: Tuesday – September 25th. • Time: 12:00 to 2:00 pm. • Where: Outside UN Head Quarters-New York City. ஐ.நா பொதுச்சபையில் உரையாற்ற வரும் மைத்திரியிடம் போர்குற்றங்கள் …..